SOLD OUT! Please visit our site to see upcoming Cert Jams. Join the Sumo Logic team in Wellington for Cert Jam! Designed as a 1-day workshop that encompasses all levels from newbies to seasoned Sumo users, choose to participate in the entire course or just the certifications that interest you. 9am - 12pm: Level 1 [Pro User] Dive into "how to" exercises and gain deep technical knowledge of analysis of logs that help you identify critical events with ease. 1pm - 5pm: Level 2 [Power User] Become an expert at set-up, management, and optimization of Sumo Logic features, allowing you to unlock the full power of Sumo Logic. Complete the form below to download your free copy! 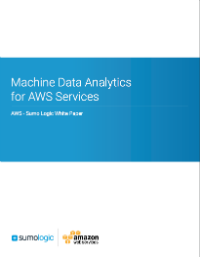 Sumo Logic is the leading cloud-native, machine data analytics platform that delivers continuous intelligence across the entire application lifecycle and stack. More than 1,500 customers around the globe rely on Sumo Logic for the analytics and insights to build, run and secure their modern applications and cloud infrastructures. © Sumo Logic, All Rights Reserved.